I am a born and bred country bumpkin who made her way to the big smoke as soon as she could. I dreamed of the hustle and bustle and the chance that anything could happen! I used to climb to the top of the highest hill where I lived and look at the horizon wishing to cross it one day and go on as many adventures as I could. As soon as I hit eighteen that’s exactly what I did. My twenties so far have been a very similar tale to that of Bilbo Baggins, I have stories of near death experiences, love and adventures of a lifetime. But now, I have returned to my roots for a slightly different scenario. I am a city girl, and by that I mean I spend my time between several cities; Liverpool (home), London (work), Bristol (Boyfriend) and the occasional exotic destination if I’m lucky. This is my life and it’s fast paced. Living out of a suitcase is the norm – as soon as I unpack I have to pack again. So nailing fashion is somewhat difficult especially when practicality plays such a large part. 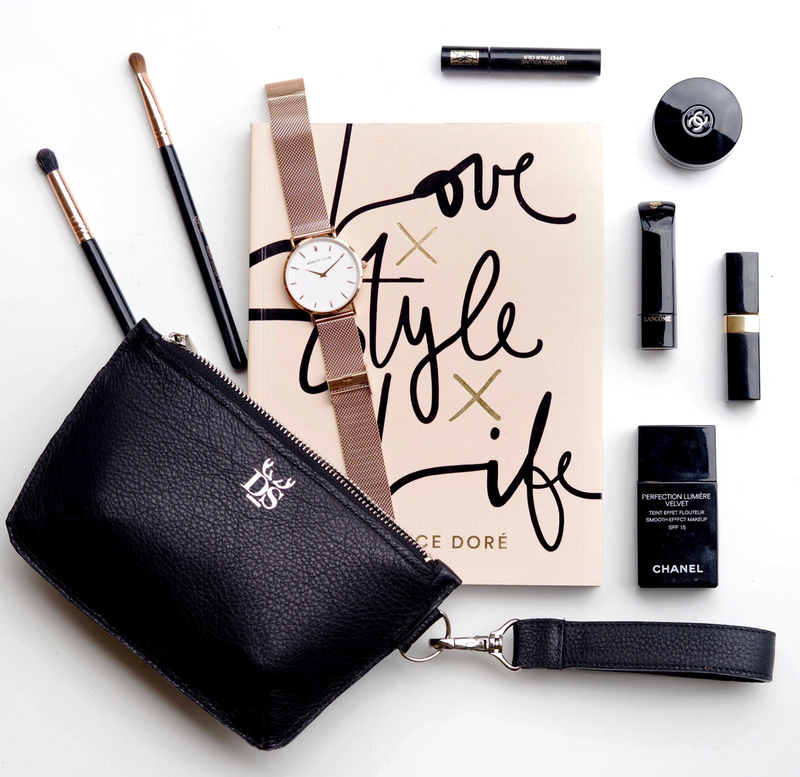 Black is my safety net – if all else fails go black! It’s not just a safe option but it’s classy and sophisticated too, perfect for a working environment. Layer it. In particular in London you can be caught out in the cold rain one minute then stuck wedged on a sweltering tube the next, so being able to adjust your outfit is key. Quality control – my bag will often carry the world making me feel like reenacting that scene from Mary Poppins all too often, so quality especially in structure is so necessary. The amount of times I’ve been stuck on my travels with a broken strap or hole in the bottom was enough to make me invest in an item that would last. 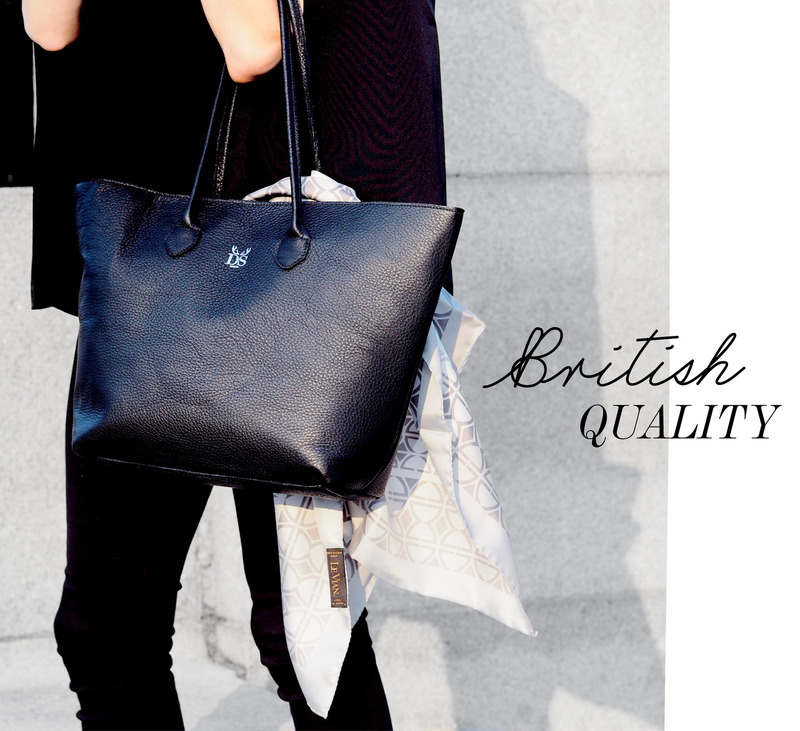 DS London is a luxury leather British accessories brand, specialising in Women’s and Men’s handbags and holdalls. Each bag is delicately hand crafted and limited edition making each one so unique – you can even have them personalised! 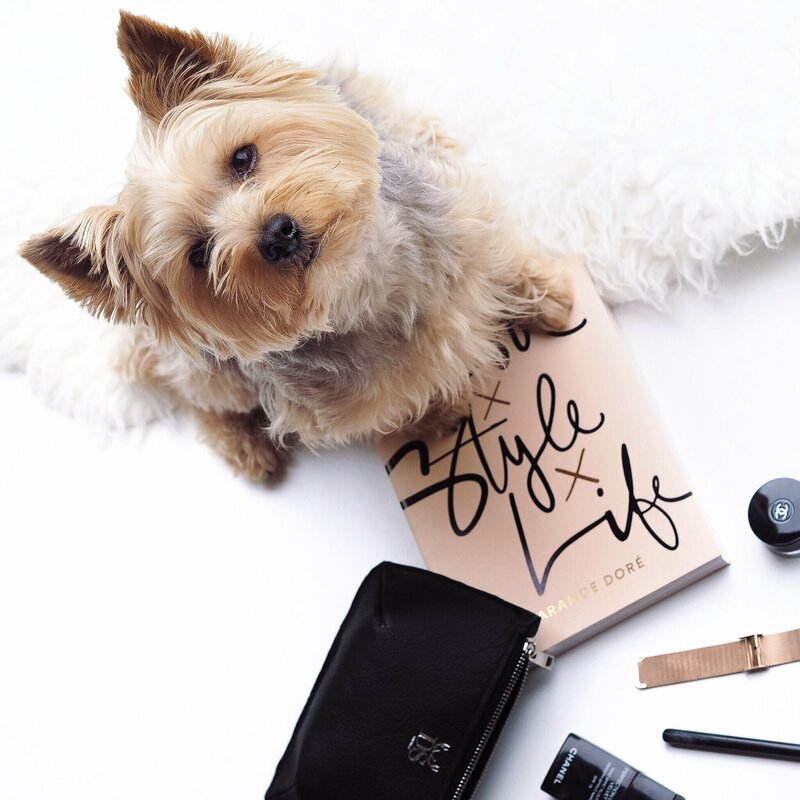 AND MEET OSCAR…MY DOG WHO IS JUST DESTINED TO BE AN INSTAGRAM STAR!